Four centuries ago, the Kingdom of Orlend and her allies beat off the Larezan Empire. Now, they're back, and this time Orlend stands alone. The hand of a traitor has thrown open her borders. 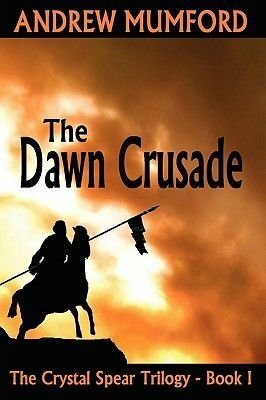 The Dawn Crusade marches unopposed. At its head are the demonic Knights of the Dawn, seeking the sack of nations and the birth of a new Age. With the army of the King routed and the Larezan Orders destroying everything in their path, all seems lost. It is every man for himself, until a few brave souls choose another path. They are Maden Kolans - once the First Gladiator of the Empire, now a man with no future but revenge. Jeran Pars, a young Captain saddled with a responsibility that might break him. And Litham Sarsen, a scholar who has seen through treason to the heart of evil that lies behind it. Their path will take them North, to the ancient castle of Jagh Mor'ek and the refuge of legend. The Gates of Hell have been breached. The Dawn Crusade is coming. And it's up to them to stand against it.